For our July Breakout Brand, The Beauty Marketplace selected a hair care line we have had our eye on ever since first being introduced at the international beauty exhibition, Cosmoprof Bologna, in April 2013. 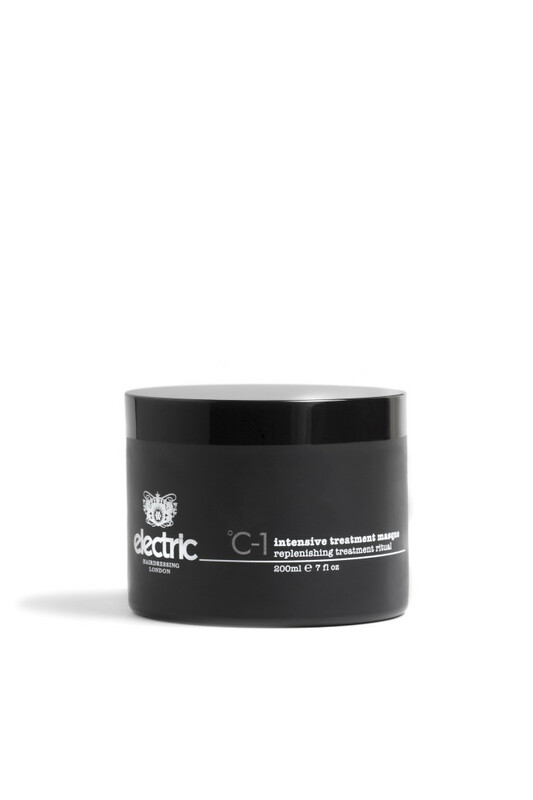 The brand we are referring to is called Electric – an independent and exciting British hair care brand offering a luxurious salon professional product range. The Beauty Marketplace knows Electric has the winning combination of marketable attributes which make a brand a success: eye-catching packing, an effective product line, and keen company direction. 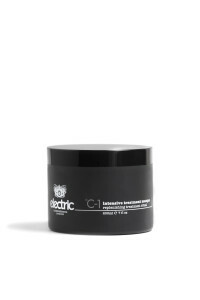 Electric was founded and is steered by Creative Director powerhouse and salon industry veteran – Mark Wooley. Mark and the Electric International Art-team are highly sought after by global brand leaders such as L’Oreal Professionnel, The Fellowship for British Hairdressing and Denman International, among many others. Created by Mark Woolley last year, the broken weight line cut has featured heavily this year as a style of cutting. The look is reminiscent of Natalie Portman’s iconic hairstyle in Leon but with an edgier yet feminine aspect to it where texture is the key to finishing the look. Celebrities such as Jessie J and Miley Cyrus debuted the look very recently and have featured heavily in the media. 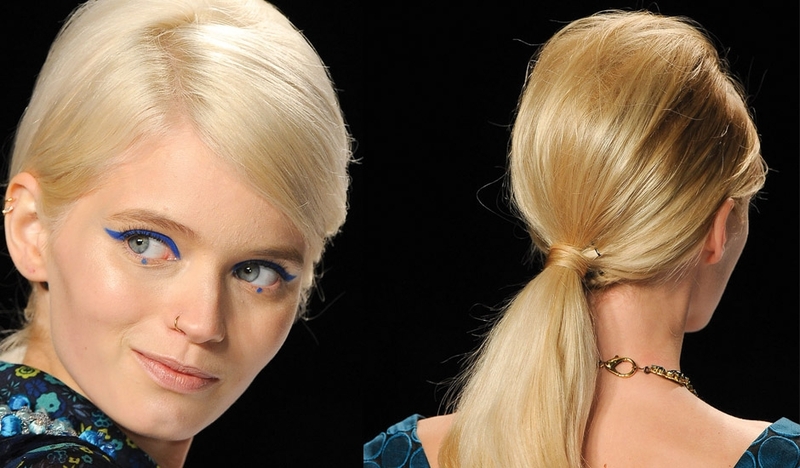 Experimenting With Height – A perfect low ponytail should be below the ears and bump-free! Try layering the ponytails and fastening at the nape of the neck, like above. This is a more modern take on this style staple. Experimenting With Partings – Whether you prefer a middle, side or an EXTREME side parting, the low ponytail looks amazing with any of them (maybe recreate the 90′s and do a zigzag if you can’t decide??). Experimenting With Movement – A ponytail slightly to the side is a great way of showcasing your long locks without having your hair down and is great for those ‘couldn’t be bothered with my hair’ days. The slicked-back ponytail could be the answer if you don’t enjoy hair in your face, perfect for holidays as well as a hot and sticky office! One of the key trends for the summer will be the faux bob. This style will give your hair a summary edge without you having to change it drastically. It works for any length hair, with just a small amount of product and a few pins. If your hair is thick and long, you may need to make a ‘foundation’ for your hair with a low bun using the underneath of your hair, then letting the rest down to drape over the bun, tuck under and secure with pins. Those with thinner or shorter hair, you can just simply backcomb the underneath section to create the base, then tuck and pin the rest under. 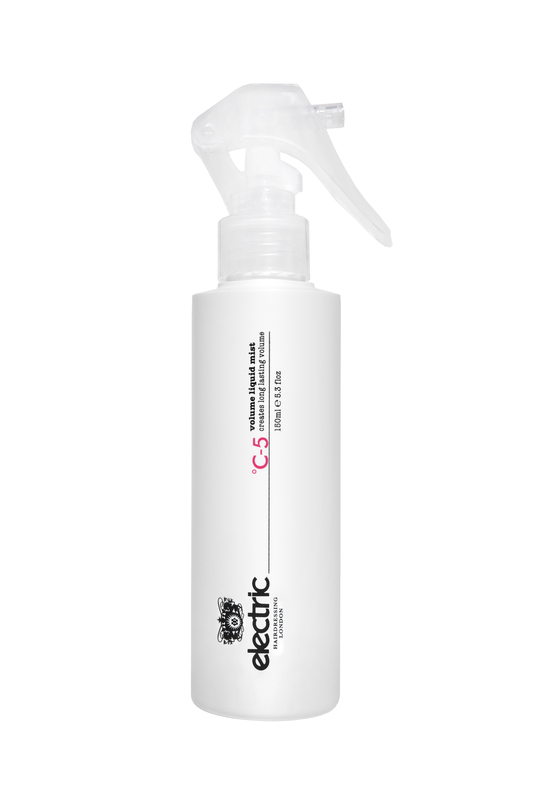 Electric’s latest product launch is Volume Liquid Mist which is fortified with moisturizing wheat proteins and hydrating meadowfoam to deliver strength and structure to the hair while creating long lasting volume and support with no hint of residue. This product is excellent at refreshing volume on non-shampoo days by simply spraying on to dry hair, combing, and re-styling. With 2,341 likes on Facebook and 2,862 followers on Twitter at the time this post was written, it is easy to see why Electric is the UK’s most exciting and rapidly expanding Hairdressing brand. Have An Honestly Beautiful Day! 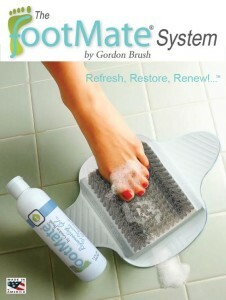 ARE YOUR FEET EFFECTING YOUR HEALTH? 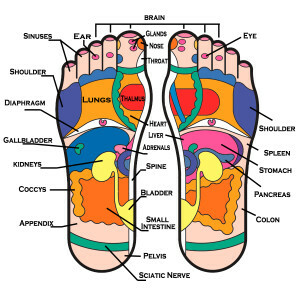 Feet are the most neglected part of the body. As a former dancer, I personally understand the importance of foot care and taking care of one’s feet for health benefits. Sandal season and Summertime is the moment of the year when we all start paying more attention to our feet, but taking care of this most used portion of our bodies, is something to be considered all year round. Did you know Eccrine, or Sweat, glands are the most numerous on the soles of the feet? The Eccrine glands are the pores responsible for excreting toxins out of, and cooling our bodies. 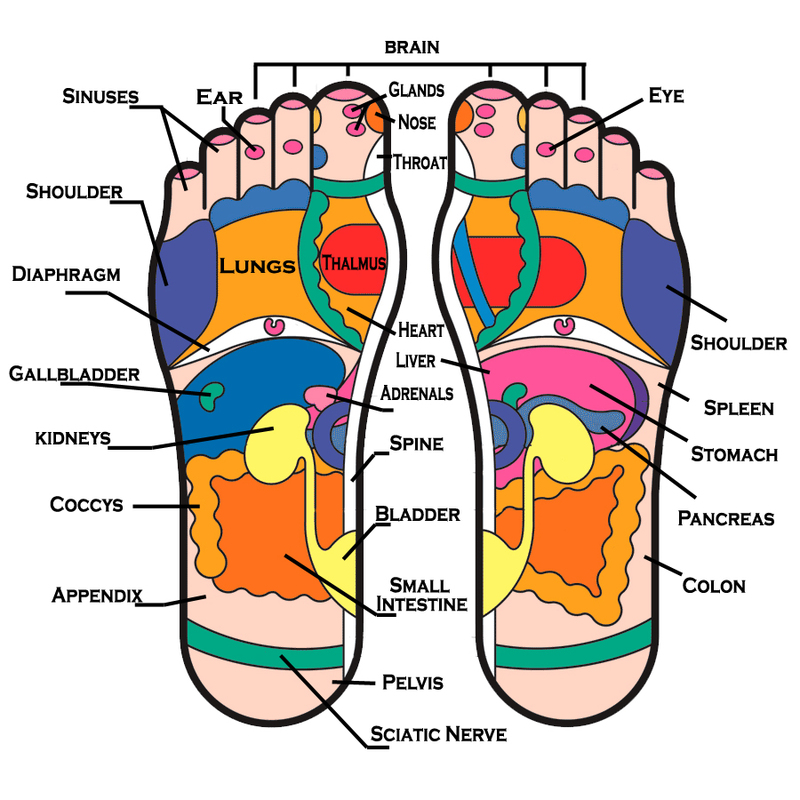 If we do not take consistent care of our feet, the soles become callused, and our bodies will be unable to regulate our internal temperature, or release toxins properly which can lead to overheating, exhaustion, or breakouts on other parts of the body where internal toxins must find release. 2. 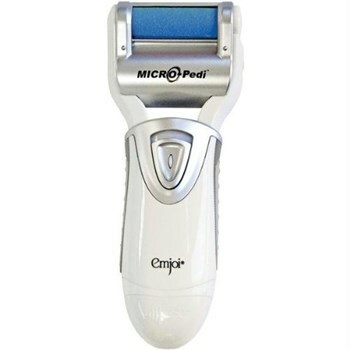 Emjoi Micro-Pedi – a battery operated pedicure device that helps sooth and remove calluses works wonders on smoothing the surface of the feet. 3. Yoga Toes – after a night in heels nothing eases our feet better than these! A bunion prevention toe separator; these padded foot pain relievers work while you sleep so you can slip back into those toe torturing shoes the next day! 4. Kerasal – this company’s Callus Removing Cleansing Pads deliver a sanitary and innovative way to treat calluses. The pads have an abrasive side for softening calluses with a built-in cleanser on the other to disinfect and prevent callus build up. The above products will take you through sandal season as well as well into the year. We hope you enjoy them as much as we do! Feel free to write to us to tell us what you think or offer suggestions on other products brands to try. http://blog.thebeautymarketplace.net/wp-content/uploads/2014/07/yoga-toes.jpg 1000 1000 Mary Palmieri /wp-content/uploads/2013/04/honestbeauty1.png Mary Palmieri2014-07-07 14:41:112016-10-19 13:58:22ARE YOUR FEET EFFECTING YOUR HEALTH? A huge trend in the beauty industry at the moment is long, extravagant eyelashes. Women are willing to invest in eye lash extensions, splurge at the Sephora counter devoted to false and creative drag-queen style adhesives, and medical aesthetic companies, such as Latisse and RapidLash, offer chemical growth substances to facilitate longer lash growth. As we were following the long lash trend, The Beauty Marketplace discovered a budding start up out of MIT we were so impressed by, we decisded to name them June’s Breakout Brand. The The Beauty Marketplace Breakout Brand of the Month is Wink Natural Cosmetics. Founded in June 2013, Wink Natural Cosmetics is solving beauty problems, such as short eye lashes, with real science and natural ingredients. Megan Cox, Founder of Wink, developed their first product, an eyelash and eyebrow enhancer, because she was investing thousands of dollars on eyelash extensions which were only damaging her lashes. After looking into other lash growth serums and options, she was turned off by the scary chemical side effects thus prompting her to create her own serum that was both safe for use, as well as effective. Wink Natural Cosmetics’ eyelash enhancer offers a natural and hypoallergenic solution to reactivate dormant hair follicles found on your lashes and brows, delivering a more lush and fuller look. After developing an all-natural formula, the product began testing and produced great results. According to Wink’s website, “4 out of 5 of the testing participants had lashes that were 10-20% longer, 100% of them really experienced fuller lashes. All in all, a hypoallergenic formula was developed that: a). was made with the finest all natural ingredients, b). could make your eyelashes longer, c). could grow more lashes and d). could regrow your eyebrows.” What’s better than that?! According to Ms. Cox, a second product is on the way and slated for a 2015 release. The product, a 2-in-1 brightening and anti-aging eye cream with gold peptides, is currently in testing. Keep checking The Beauty Marketplace and be sure to sign up for our newsletter for more information on the release. The Beauty Marketplace just received our copy of “Milady: Skincare and Cosmetic Ingredients Dictionary” from industry veteran and author Joseph Dinardo. Joseph, a 37 year Cosmetic Industry veteran, penned the book along with his colleague, Varinia Michalun. Dinardo told The Beauty Marketplace, “(Milady) was a perfect way of sharing some of the pearls I have learned over the years with others on my way out and their way into the field of skincare”. The guide offers simple straight forward talk that combines common sense with science in a simple to read format. 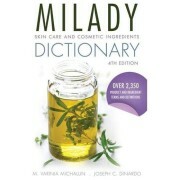 The “Milady: Skincare and Cosmetic Ingredients Dictionary” is more than just a dictionary of cosmetic ingredients, but also a guide to understanding skin types and physiology, as well as how cosmetic products interact with the skin. The book is in three parts: Part 1 including a basic explanation of skin anatomy, Part 2 containing an alphabetical listing of more than 2,600 cosmetic ingredients with definitions, and Part 3 offering the Botanical Latin terms for commonly used ingredients. What The Beauty Marketplace loves about this book is the guide is useful to industry professionals as well as consumers. Beauty industry executives whose goal is to develop innovative skincare lines and improve the efficacy of existing products will find the dictionary of terms useful as a reference and tool for new formulations. If you are a beauty product consumer who would like to be more knowledgeable on how different ingredients interact with the skin, you will also find the dictionary educational. Yes, that’s right, you read correct! What does the future hold for the cosmetics industry? You should anticipate printing your color cosmetics from a 3-D printer. Read about the ingenious Harvard Business school student who developed the concept that is about to revolutionize the way the cosmetics industry does business. Read the full Business Insider article below…. By that, she means color printers are available to everyone, and the ink they have is the same as the ink that makeup companies use in their products. She says the ink is FDA-approved. 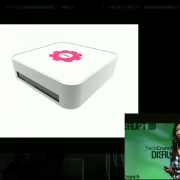 Choi created her own mini home 3D printer, Mink, that will retail for $300 and allow anyone to print makeup by ripping the color code off color photos on the internet. 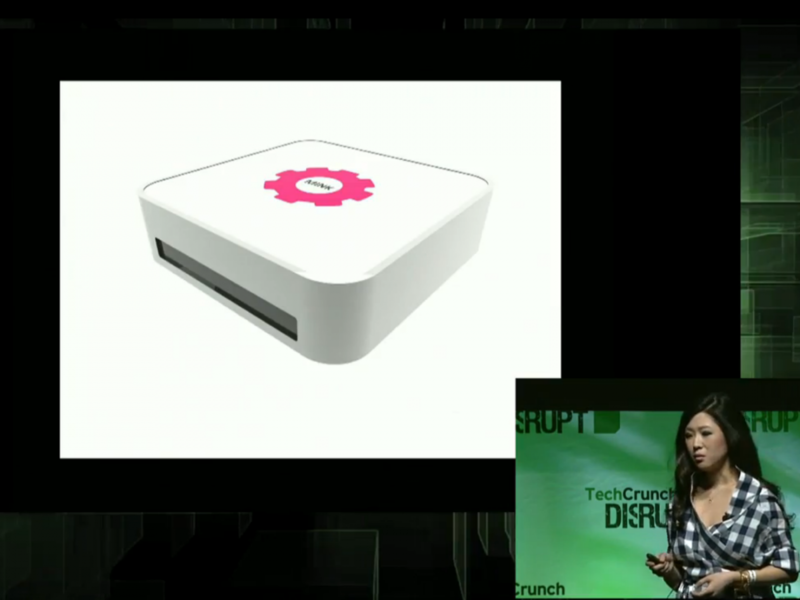 It hooks up to a computer, just like a normal printer. She demonstrated how it works, then brushed some of the freshly printed makeup onto her hand. She answered a lot of the tough questions about how she’ll move beyond powders to creamier products and team up with traditional printing companies in the video below. Produced by the Scent Marketing Institute – the leading authority on scent-supported marketing, Scent World is the premier scent and sensory marketing conference and tabletop presentation. Featuring two days of lectures and presentations on new scientific perspectives as well as successfully implemented sensory strategies by leading minds in scent and sensory market research, technology, trends and applications. The tabletop exhibition area is where top global companies will demonstrate the latest sales and marketing tools for your brands, products and services. You should attend if you would like to learn how the sense of scent can enhance your brand experience, customer retention, and ultimately, increase sales. Want to exhibit? Email us at info@thebeautymarketplace.net so we can point you in the right direction! The The Beauty Marketplace Breakout Brand for May is a new player ultra luxe skincare market: A brand is called IMMUNOCOLOGIE. A leader in the BioCosmeceutical Market, giving brands like Le Mer and Le Prarie a run for their money, Immunocologie works with the biology of the skin and offers medicinal properties pertaining to anti-aging. Immunocologie is the only skincare line based on the science of the skin’s immune system. “Your skin is the largest organ in your body, and your immune system is the essential driving force in sustaining vibrant, healthy skin. When you are totally healthy and live in a perfectly pure environment, your skin functions at an optimal metabolic rate, protecting and repairing itself as best as humanly possible. But, we don’t live in a bubble,” says Karen Ballou of Lucas Brand Equity, the equity group at the head of Immunocologie. Every day, internal and external factors affect your skin’s metabolic rate and compromise it’s health. Common skin-hampering internal factors include getting sick, lack of sleep, stress, poor nutrition, allergies and aging. Top external factors are free radical and negative ion exposure brought on by UV rays, pollution, extreme weather changes and electronic device emissions. Immunocologie has brought together the world’s leading chemists and research scientists in the field of Biocosmeceutical Technology and human immune health to create a regimen specifically designed to support the natural processes of your skin’s immune system. Immunocologie uses bio- available plant based actives to help skin cells generate the same “positive skin response” that your skin would experience if internal and external conditions were perfect. The regimen was developed in France and is based on an exclusive French Bio-ferm process, which employs active ingredients to stimulate your skin’s natural immune response, preventing and repairing damage on a cellular level, encouraging a healthy metabolic rate and regulating cell turnover. All active ingredients are backed by in vitro clinical studies. The core ingredient found in all Immunocologie treatments is the brand’s signature Vital Oligo Complex, containing 15 essential elements crucial for the proper functioning of skin cells, and encapsulated in a delivery system that allows it to penetrate into the deeper layers of the skin. Plant-derived peptides and oligopeptides, super anti-oxidants, nourishing oils, hyaluronic acid, vitamins and minerals are all key components of Immunocologie skincare formulations. Immunocologie emphasizes the importance of positive ion therapy. “Pollution and electronic devices, like cell phones, computers and TVs, proliferate negative ions which bring imbalance to your skin. Your skin needs positive ions to function properly. As an example, positive ions are in water—think about how good your skin looks and feels when you walk along the shoreline or after a rainy day when the air is humid,” says Ballou. emulsifiers and heal the skin from within. Sustainability is paramount to Immunocologie. Since the brand sources natural ingredients from all over the world, Immunocologie operates according to the Nagoya Protocol – a global agreement whose objective is ensuring a fair and equitable sharing of benefits arising from the use of genetic resources. The Super 7 Elixir Face is the brands breakout product. Made using Snail Mucin. Also known as Snail Slime, this ingredient is commercially obtained from the common garden snail species Helix aspersa, which produces a secretion rich in proteins of high and low molecular weight hyaluronic acid and antioxidants. The secretion of the snail supposedly has a double function when applied to human skin: on one hand it is claimed to stimulate the formation of collagen, elastin and dermal components that repair the signs of photoaging and, second, is claimed to minimize the damage generated by free radicals that are responsible for premature skin aging. 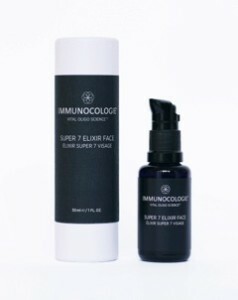 Immunocologie face serum is a daily, strongly effective serum that regenerates skin cells to bring balance to the skin.